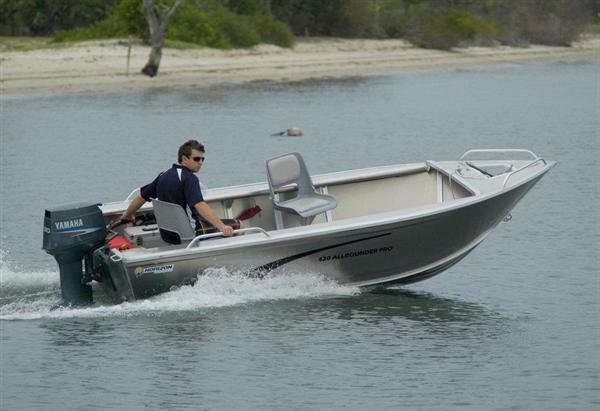 Material Alloy Economical aluminium open fishing and recreation boat. Designed for the most popular and competitive market in Australia. We are proud to offer the 420 Allrounder Pro. The 420 Allrounder Pro boast a large list of standard features including 2 pedestal seats, 3mm bottoms, anchor well, bow & side rails, carpeted full floor with hatch and a lot more. The 420 AllRounder Pro is great value for money.